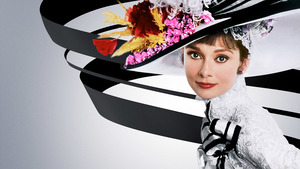 A special 55th Anniversary screening of My Fair Lady, starring Academy Award-winners Audrey Hepburn and Rex Harrison, is coming to The Ridgefield Playhouse on Sunday, February 17 at 5pm. My Fair Lady is now more “loverly” than ever after the eight-time Oscar-winning musical (including Best Picture, Best Director & Best Actor) was restored frame-by-frame from the original 65mm negative and scanned utilizing state-of-the-art technology under the supervision of famed film historian Robert Harris for its 50th anniversary. This showing is part of the Cohen and Wolf P.C. Movie Series. Audrey Hepburn has never looked more radiant, starring as Eliza Doolittle, a character who finds herself at the center of a friendly wager between Professor Henry Higgins (Rex Harrison) and his companion, Colonel Pickering (Wilfred Hyde-White). Can this disheveled, cockney flower girl find her voice and blossom into a proper lady presentable in high society? Performance, style and sweet spirit plus an unforgettable score have made My Fair Lady one of the greatest musicals in film history and a beloved and timeless classic that begs to be experienced on the big screen! This special event includes exclusive insight from Turner Classic Movies. For tickets ($12.50), call or visit the box office, 203-438-5795 or go online at ridgefieldplayhouse.org. The Ridgefield Playhouse is a non-profit performing arts center located at 80 East Ridge, parallel to Main Street, Ridgefield, CT.